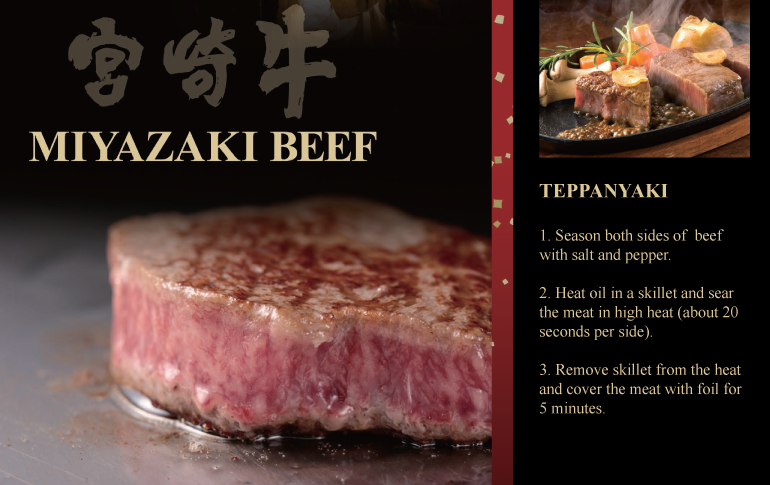 Wagyu simply means "Japanese style beef" in the Japanese language, but it also points to the main four breeds of Japanese cattle, that are prized for their exceptionally well-marbled meat. 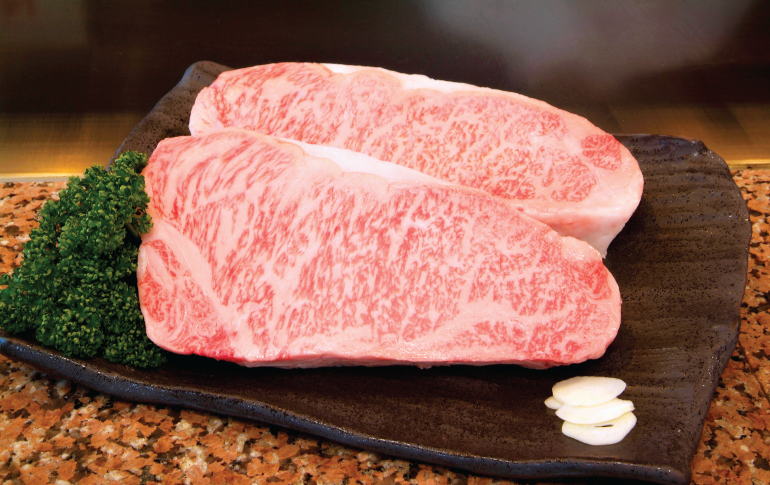 Miyazaki Prefecture is the 2nd largest producer of Kuroge Wagyu (Japanese Black Cattle), and only the highest quality cattle from this region can be dubbed "Miyazakigyu". 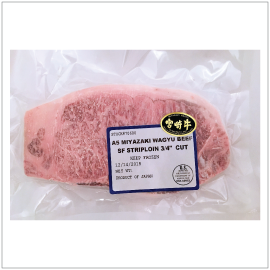 Miyazakigyu is recognized for its cherry red color, tender texture and great dense meat taste. The snowflake-like fat is evenly distributed and produces a non-greasy flavor. It begins to dissolve at the temperature of 25 degrees Celsius, melting right in the mouth. When defrosting, take it out of the packaging first, then wrap it with water absorbing paper and slowly defrost in the refrigerator to minimize discoloration and drip.